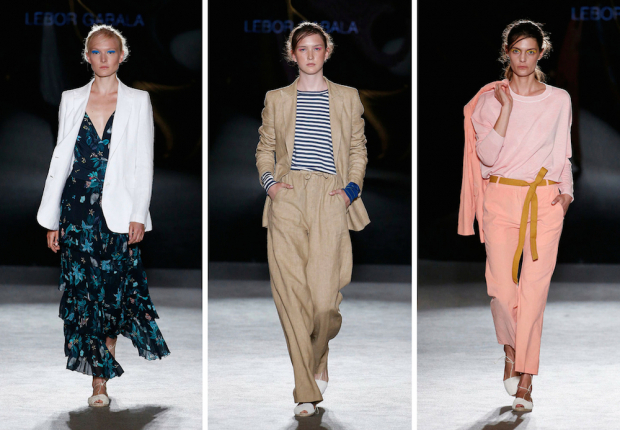 Designer Maite Muñoz looks to the eighties for her new spring-summer 2019 collection for Lebor Gabala: “Memories”. But she moves away from the vintage aethetics to recover some elements from that decade, like the oversize silhouette, and adapt them to the contemporary woman’s wardrobe, where versatility is the key. With this mind, the masculine blazer is the star piece of this collection by Lebor Gabala, as the designer decides to wear it on dresses and as part of wide-trousers suits. Patchwork is another key element of the collection and goes along floral and geometric prints in a line where confort goes hand in hand with the best style.